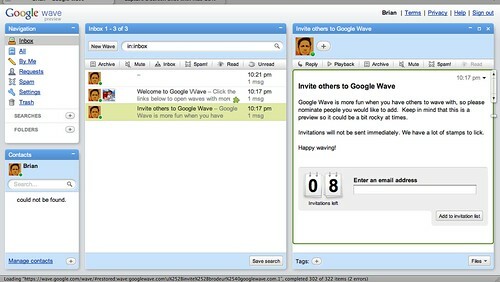 I got a google wave invite! Now it’s time to find a great project and get to work with it! Any ideas? I do a majority of my “internet reading” through google reader. When I started digging into the data, the numbers actually scared me a bit! In the past 30 days, I’ve read almost 25,000 items in some capacity, whether I skimmed the headlines, or read an actual story. Problem is, I don’t know if this is a good thing, or a bad thing. I’m an INFO JUNKIE, but at some point, what is too much? Or do I need MORE? ?